"I have to complement your product on the vancomycin pharmacokinetic predictions which come quite close to measured trough levels in 70 to 80% of our patients." "T.D.M.S. 2000 is easy to use, and works as well as the more complicated pharmacokinetics software programs." "Thank you so much for creating and continuing to improve T.D.M.S. 2000 It is a fantastic and empowering tool. I've come to love T.D.M.S. 2000, and I can't imagine going onward in my career without it, especially in the pediatric field." "T.D.M.S. 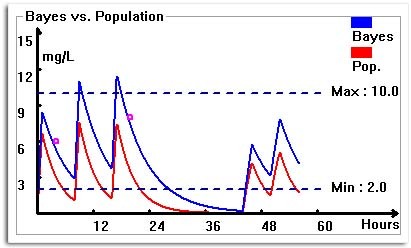 2000 has the great advantage of being very practical and easy to use for the management antibiotic pharmacokinetics. It has provided more reliable pharmacokinetic monitoring at our pediatric hospital." 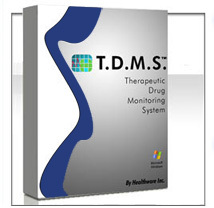 T.D.M.S 2000™ is a software package for therapeutic drug monitoring. It has a 30 year track record of clinical use. T.D.M.S. has proven itself to be on the cutting edge of software technology for clinical pharmacokinetics. T.D.M.S. 2000 is compatible with Windows 7, Vista, XP, 2000, 98, 95, ME and can be used over a network with a shared database. • Compatible with Windows 7, Vista, XP, 2000, ME, 98, 95. Version 11.09 has now been released. It was released on Sep. 2011. Paid subscribers can download the latest file under the download section. To try the software for free, please follow the following link for a free demo version 11.09. Download a Free Demo Version of T.D.M.S. 2000™.